British boiler manufacturer Keston has over 90 years of experience in boiler design, and focuses on innovation and quality. The company and its customers are supported by a dedicated national service team, innovative research and development procedures and manufacturing quality control. To get competitive quotes for a new Keston boiler from Gas Safe engineers in your area, send us an enquiry today via our simple form. It only takes a few minutes to complete and you’ll receive up to 3 free, no-obligation quotes to compare. Keston’s combi range of boilers come in either the C30 or the C35 which are available in 30kW and 35 kW power outputs respectively. Both offer all you would expect from a modern boiler and more, being small enough to fit in most kitchen cupboards as well. Both models also allow you to control the heating and hot water independently, ensuring maximum comfort and efficiency. And let’s not forget that both these combi boilers connect to the unique Keston twin-flue system, which allows both boilers to be anywhere up to 27 metres from the flue outlet – this offers a degree of flexibility not seen in a lot of other boiler manufacturers. Cost alone should not be your primary driving factor when in the market for a new boiler. For example, if you just go for the cheapest new boiler you can find then chances are it wont be up for the job. If you live in a 4 bedroom house with 10+ radiators and 3 bathrooms, then a 30 kW combi boiler would not be the right choice as it couldn’t handle the load. This is where the experience of a Gas Safe heating engineer really comes into play, as they can advise you on what your new boiler needs to look like based on your unique requirements. Keston also do a great job with their System boilers offering both a simple and reliable solution regardless of whether you’re looking for a new or replacement boiler. The Keston System S30 has push & clip flue spigot connections making for a very fast and clean install. And how about this for flexbility, the S30 has a wide range of alternative flueing solutions making this boiler work great in virtually any domestic situation. Given how lightweight this boiler is, and how the connections are hidden away neatly – the S30 will also fit in most standard kitchen cupboards. 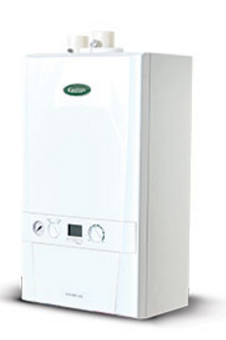 The Keston Heat is a wall hung boiler which is suitable for large homes or small commercial properties. The boiler is highly energy efficient which means low running costs and low NOx emissions at Class 5 and at less than 40mg/kWh achieves maximum points under BREEAM schemes. The Keston Heat range of boilers are easy to cascade to a system with up to 6 boilers using Keston frame and header kits. This results in a power output of up to 330kW. It’s important to keep your boiler in the best possible condition with an annual boiler service by a professional engineer. This will ensure the boiler can operate as efficiently as possible, keeping heating bills to a minimum, and that there are no potential safety issues to be concerned about. A boiler service is also a great way to catch and fix small repairs before they have the chance to worsen over time and cause an expensive breakdown. Find out what’s involved in an annual boiler service, why it’s so important, the benefits and how much they cost in Keston Boiler Service. Every boiler manufacturer offers a standard warranty with their boilers which last between 1-10 years. The warranty is your insurance policy and means if a fault develops the manufacturer will resolve it within a specified time frame. Some warranties include both parts and labour while others may only cover parts. The most important thing to remember is to get your boiler serviced by a Gas Safe registered engineer every year as failing to do so is likely to invalidate your warranty. For more detail about this brand’s warranty (including the small print) take a look at Keston Boiler Warranty. Even the highest quality boiler can develop faults and problems as they age. Some are minor issues you may be able to handle yourself but most will need a Gas Safe registered engineer to diagnose and repair the problem. 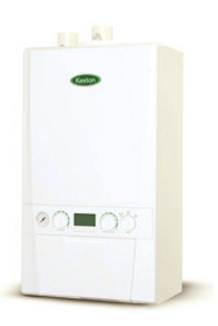 To find out if there are any common problems associated with this manufacturer you can read our guide to Keston Boiler Repairs & Common Keston Boiler Problems. Error codes may appear on your boiler’s display; it’s your boiler’s way of telling you that something is wrong. Each manufacturer uses a different coding system to help an engineer to diagnose a fault. In some cases it may be a simple issue such as low pressure which you can adjust yourself but more technical faults will certainly need a professional. We’ve put together a list of error codes for all Keston Boilers to help you understand what’s wrong before you contact an engineer. Keston offer an RF Electronic Thermostat System and Combi boilers which enables 7 day scheduling and holiday mode as well as a plug-in mechanical timer with 15 minute periods.